We have broken down our turn-key fundraising package into 3 easy steps which can help any local organization get a very profitable fundraising event off the ground in no time. Step 1: Plan – Every successful fundraiser needs a plan to follow. When you sign-up to do a fundraising event with Your First Mud Run, we work with you every step of the way to ensure the event is planned out to the last detail. We have put on hundreds of fundraising events all across the US. Step 2: Get Local Community Involved – We have proven sponsorship programs to help generate local support in your community for both the family mud run event as well as your cause. 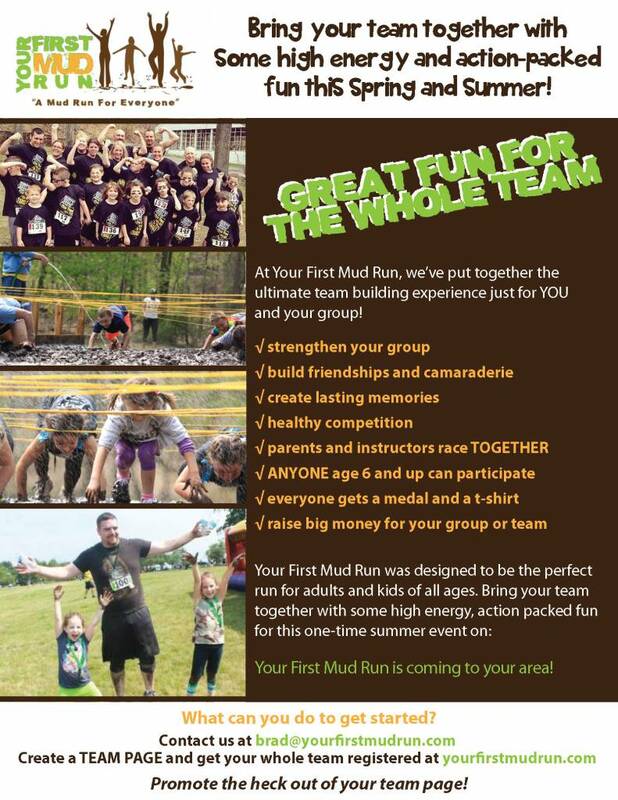 Step 3: Getting the Word Out- We help you to develop ways to publicize our mud run fundraising event on your local news stations and newspapers. We will even put the event on our website and social media outlets. Letting the public know there is a family-friendly activity in their area is key to a successful fundraising event. So if you are looking for a new way to raise money for your non-profit or local organization, please fill out the form below and we will be in contact with you. Join us we are always looking for great organizations to work with. Your First Mud Run works with a variety of charities to help support their important work in the community. We’re always looking to work with more great charities, in addition to club teams, high school teams, businesses and any organization looking to utiltize our race as a fundraiser! If you’re interested in teaming up with YFMR let us know by filling out our “contact us” form at the bottom of this page.